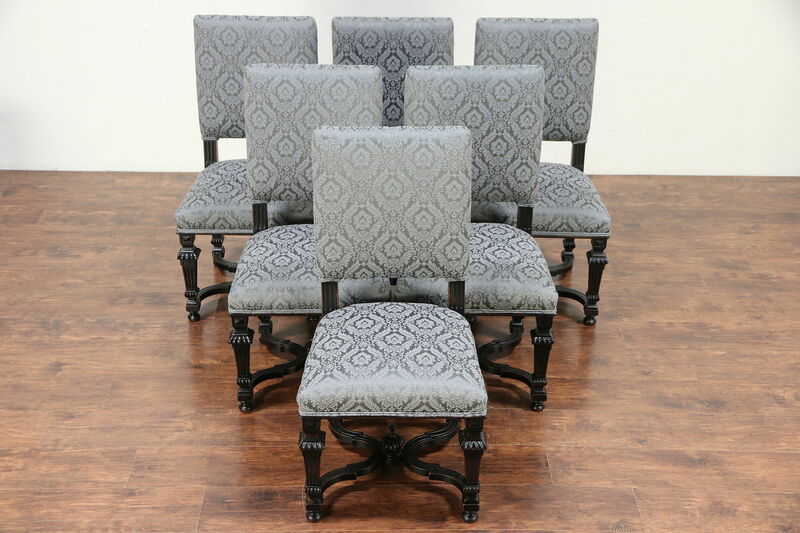 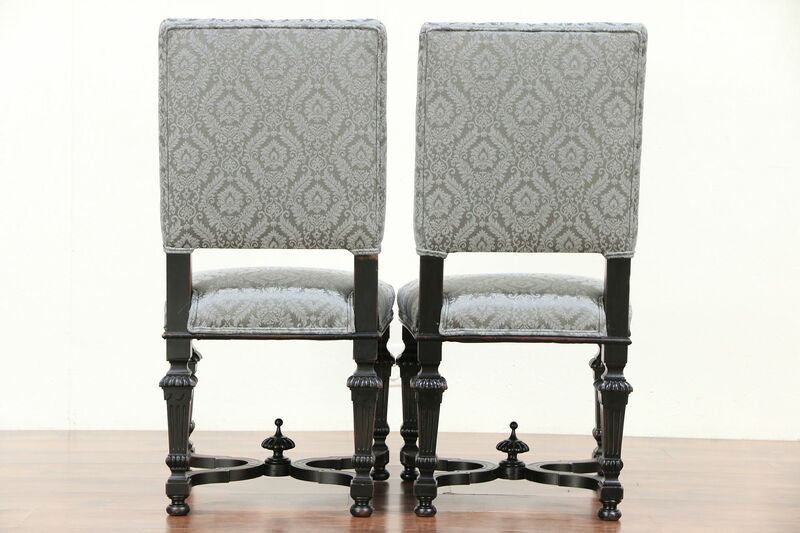 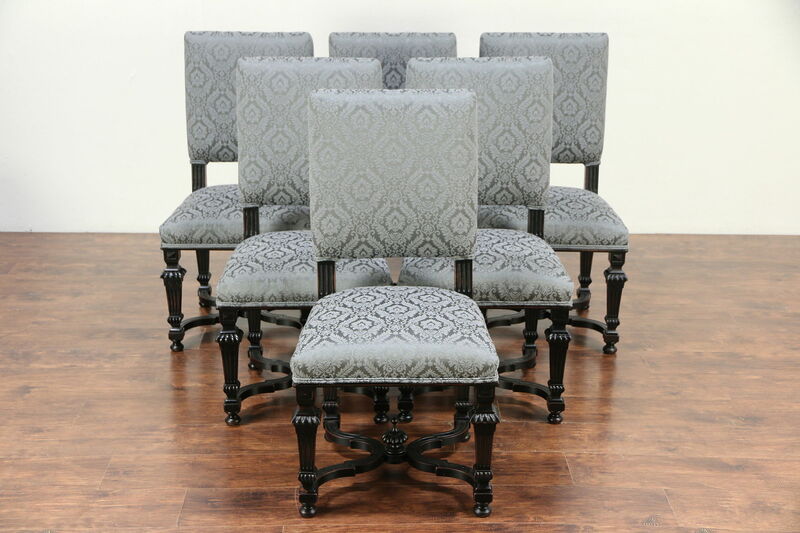 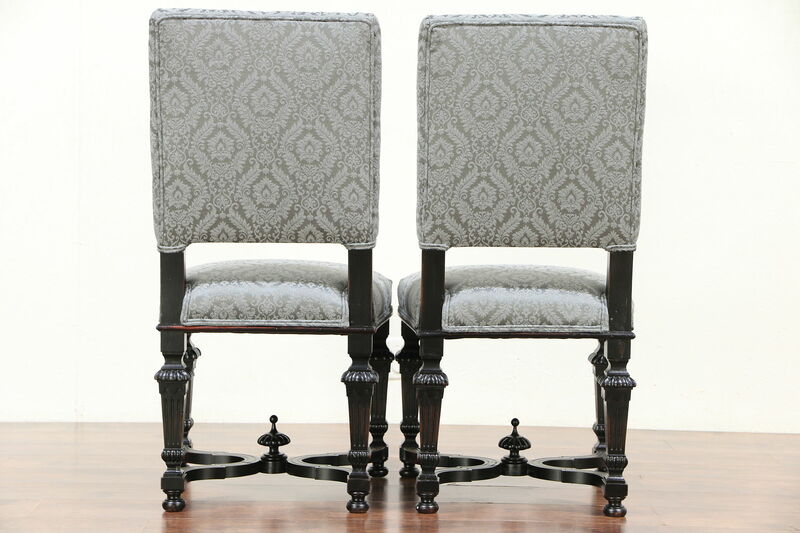 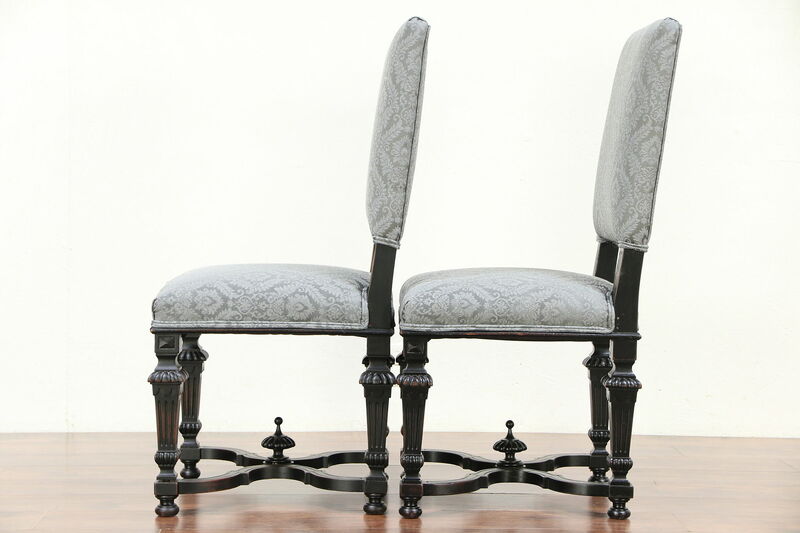 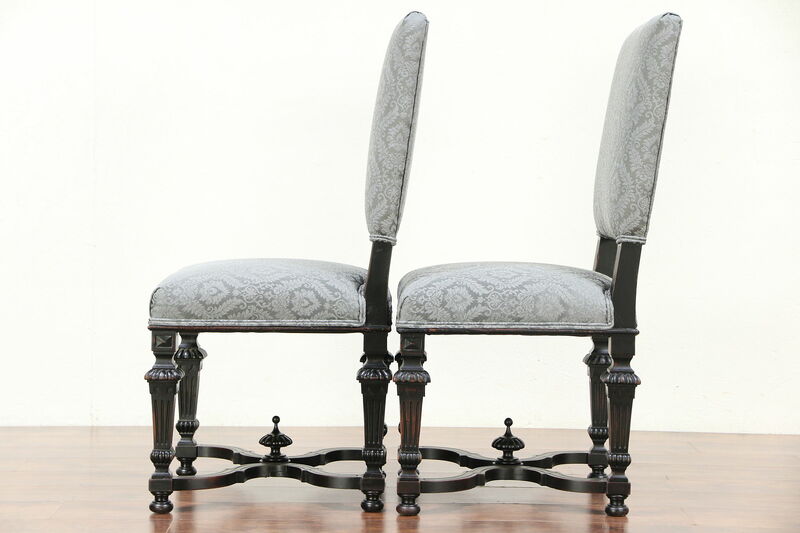 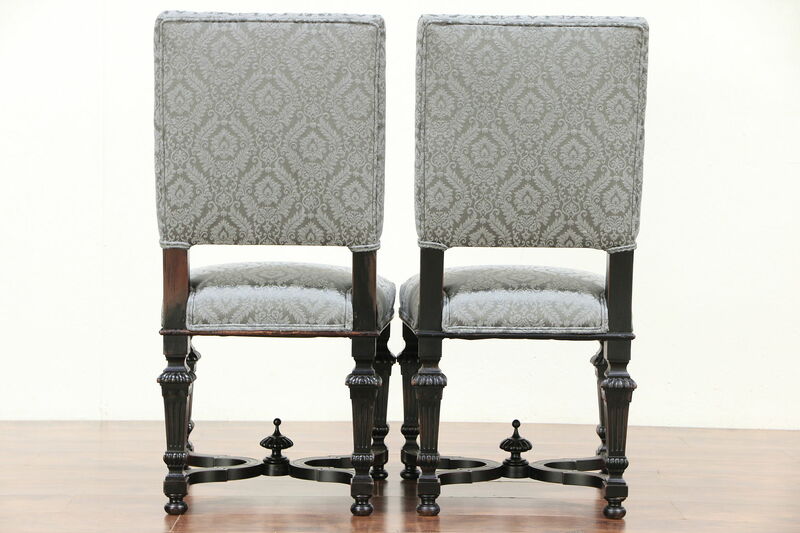 A set of six dining chairs from Italy were hand carved of solid fruitwood about 1890. 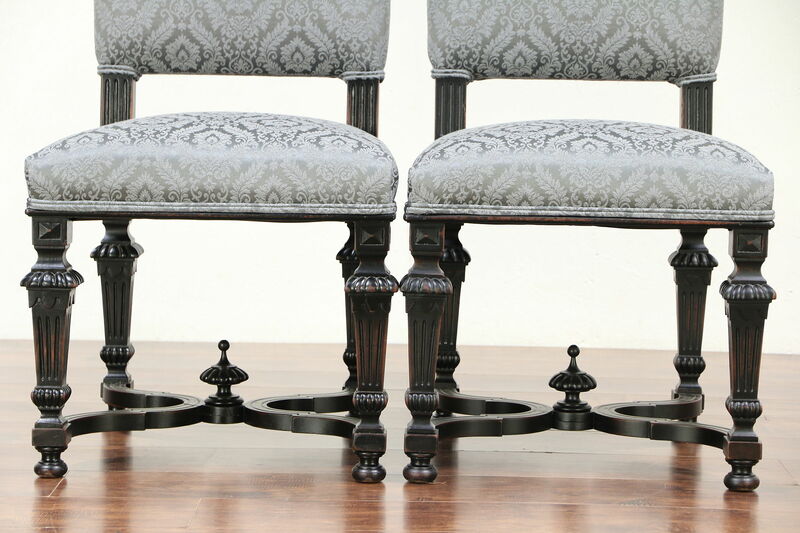 The original ebonized finish has charming wear, preserved with clear varnish. 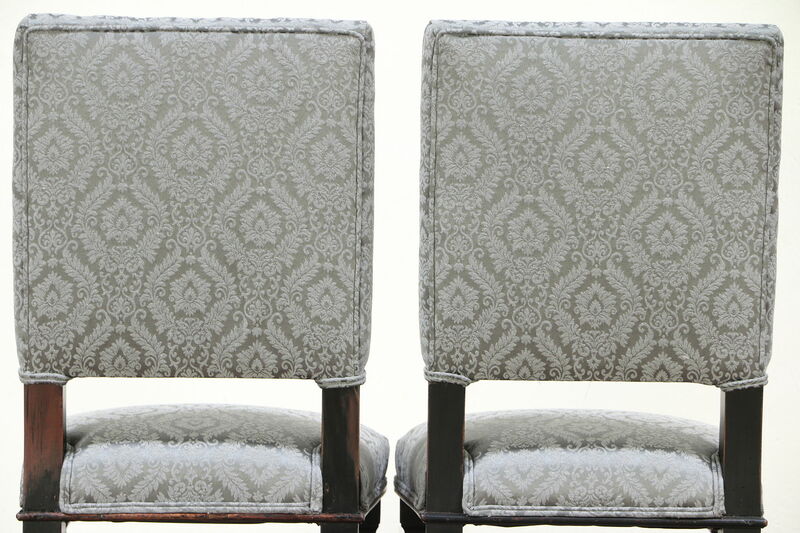 Upholstery is new. 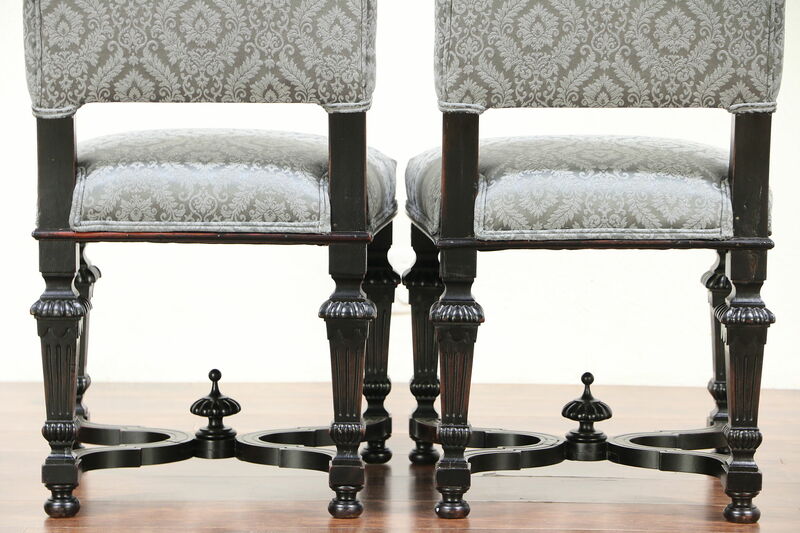 Frames have trestle bases with a center finial and are strong and tight, reglued to serve another generation. 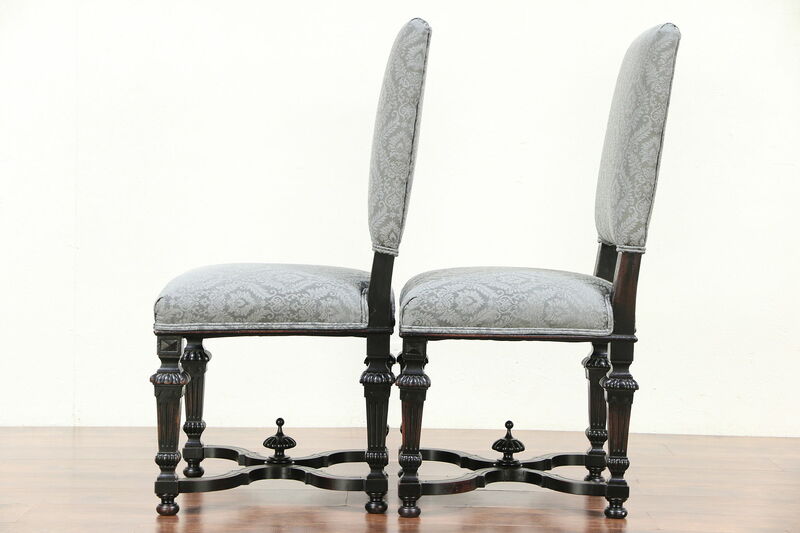 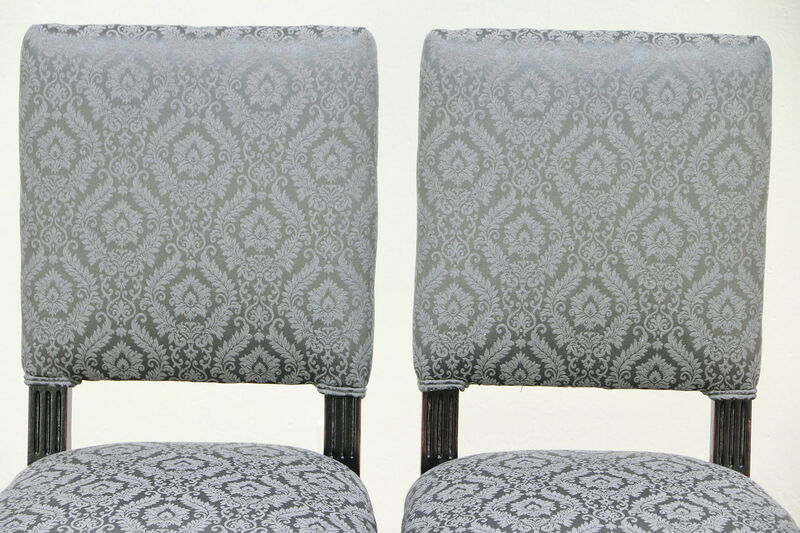 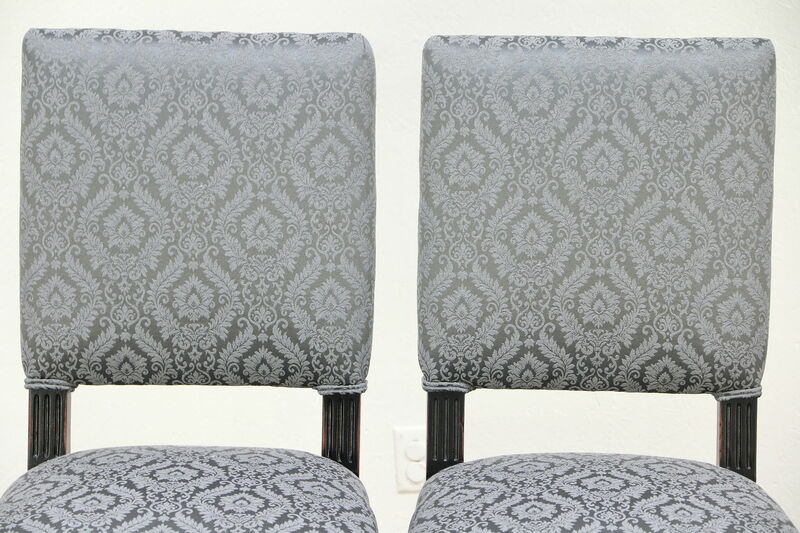 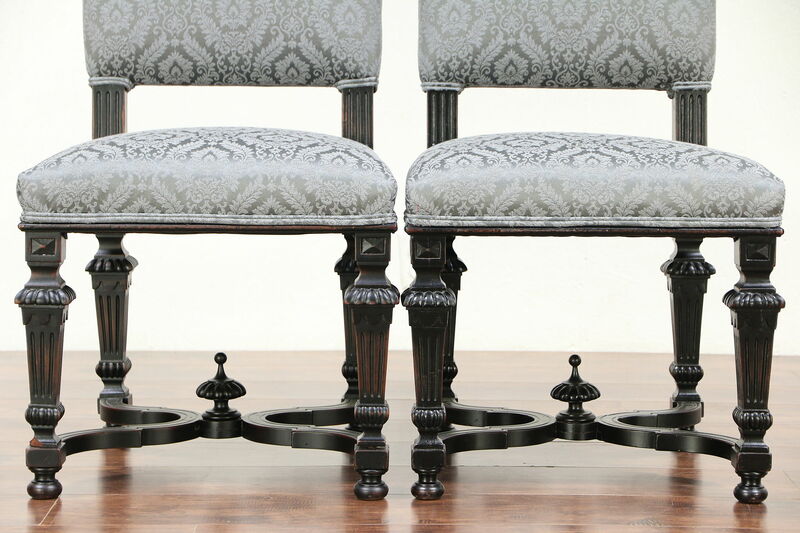 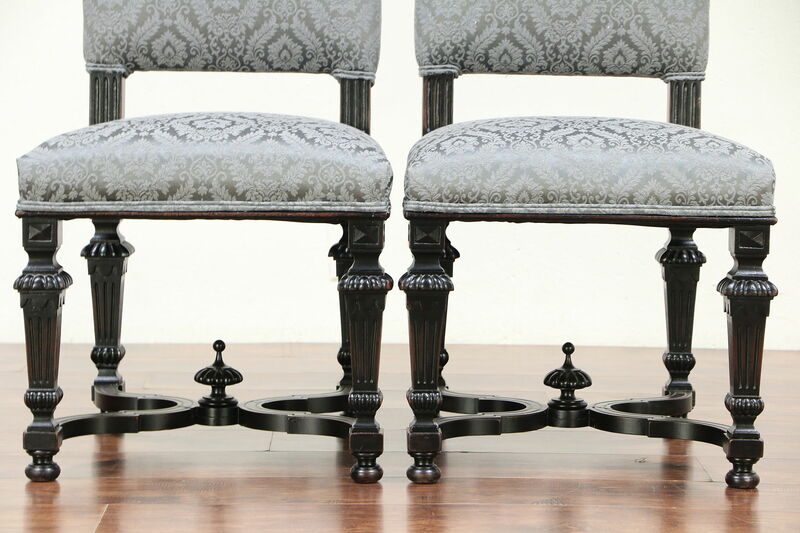 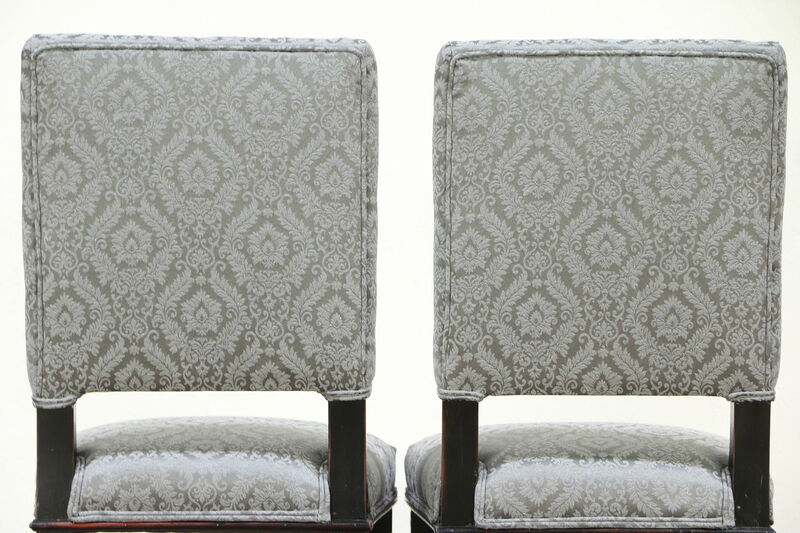 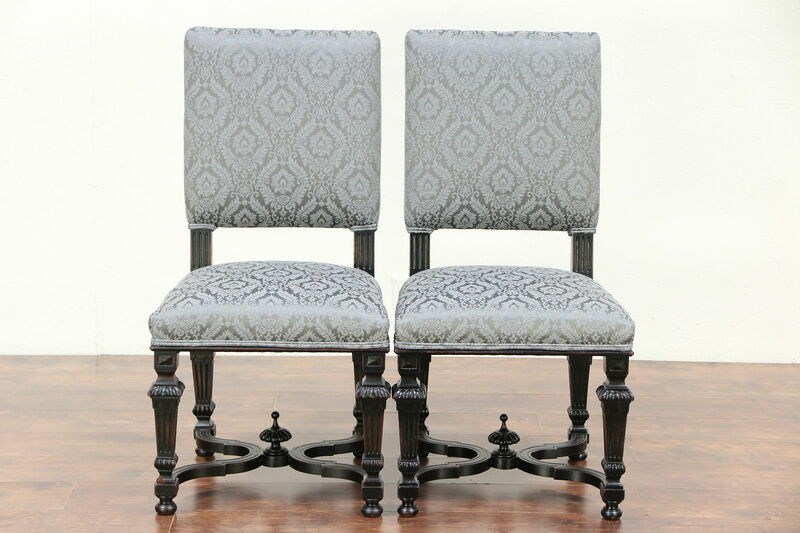 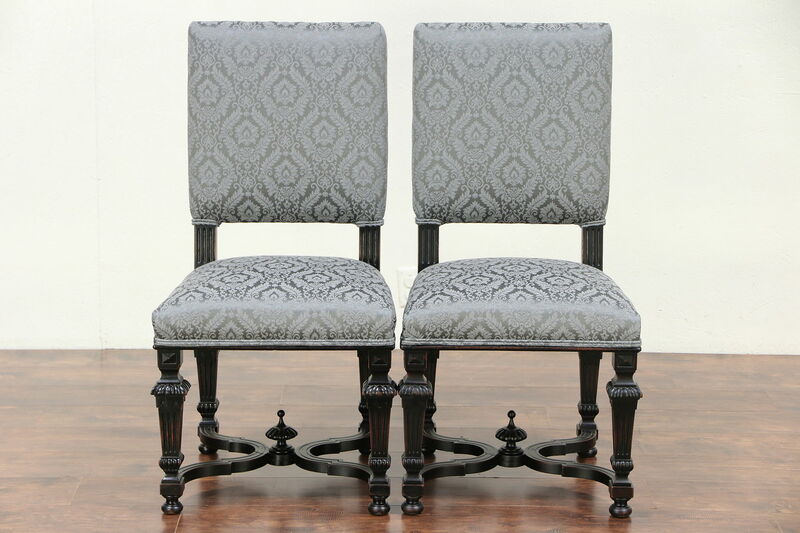 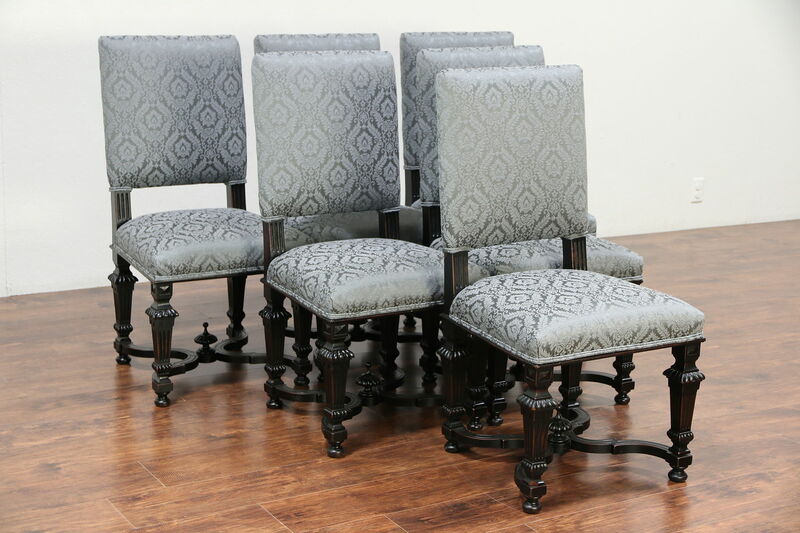 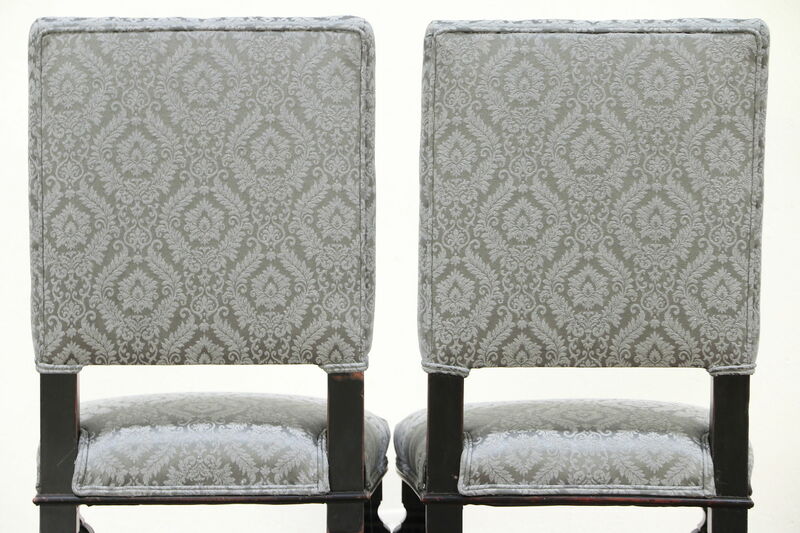 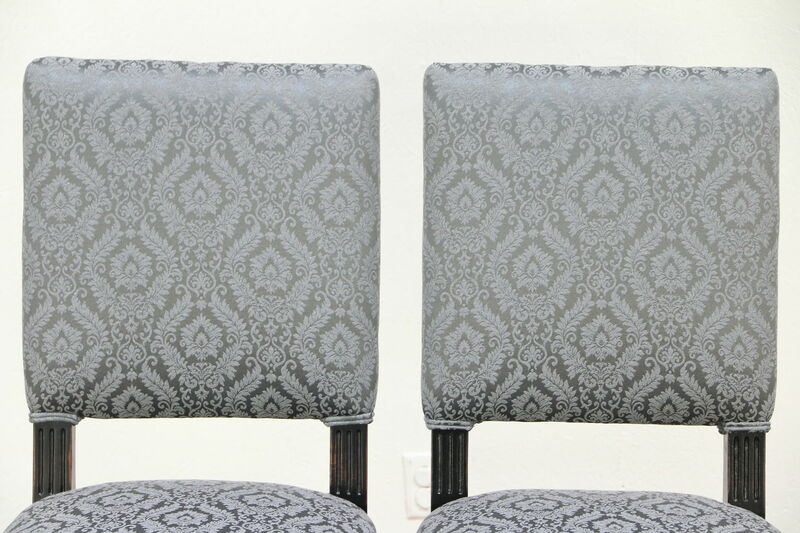 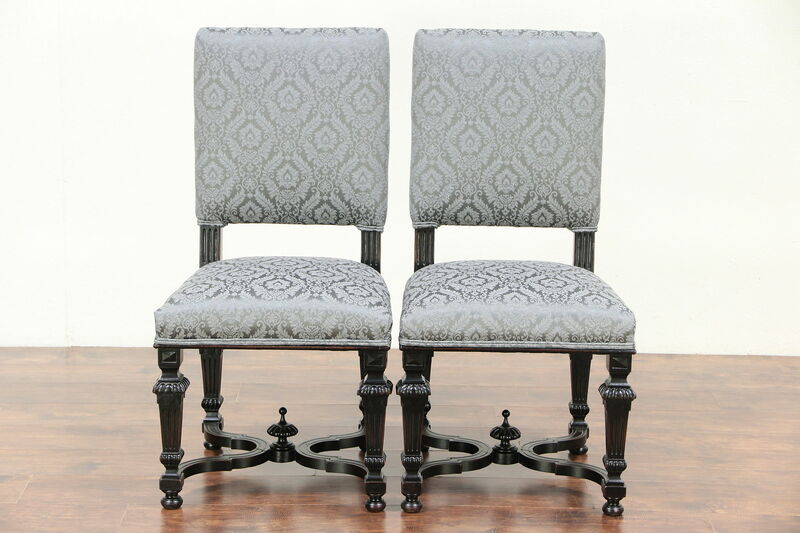 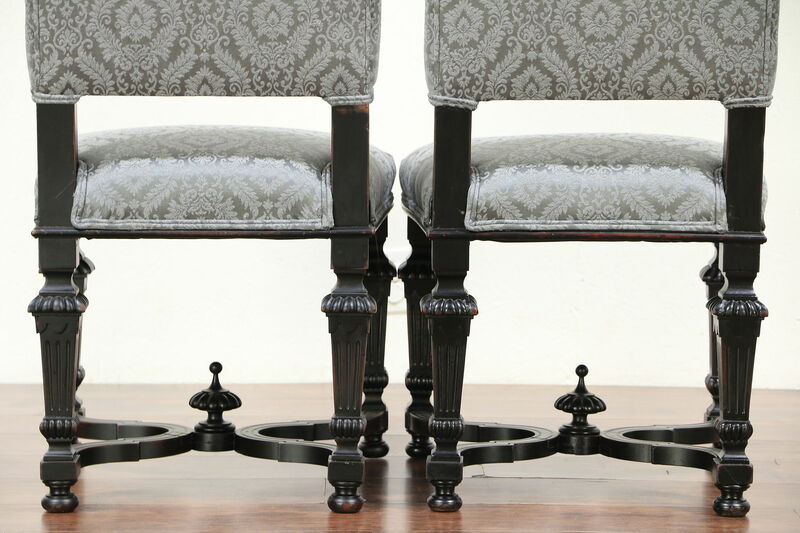 Seats are comfortable on this classical antique furniture. 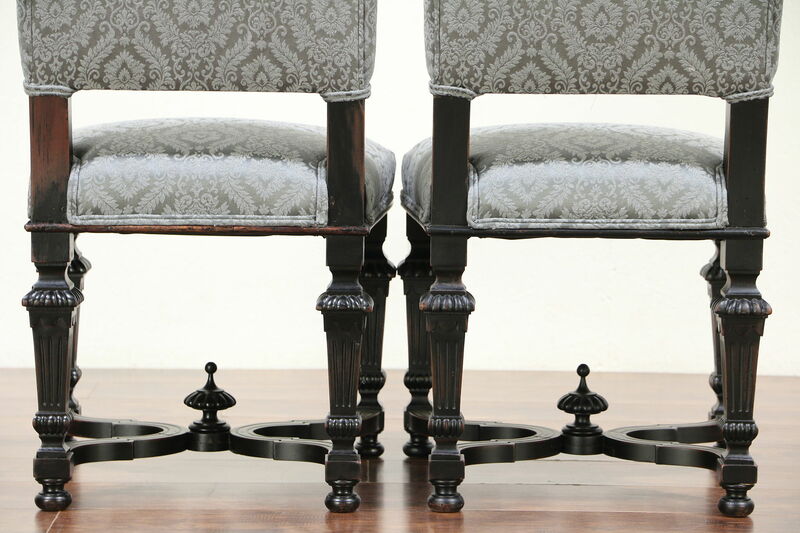 Measurements are 21" wide, 23" deep, 40" tall and seats are 19" high and 17" deep.